for $492,000 with 3 bedrooms and 2 full baths. This 2,408 square foot home was built in 2005 on a lot size of 14.86. Wanting it all? This is it! Gorgeous Log home, wrap around covered porchs overlooking 14.86 Acres w/4 stall horse-stable w/hay area & tack room, several pastures w/gates. Now for the home! 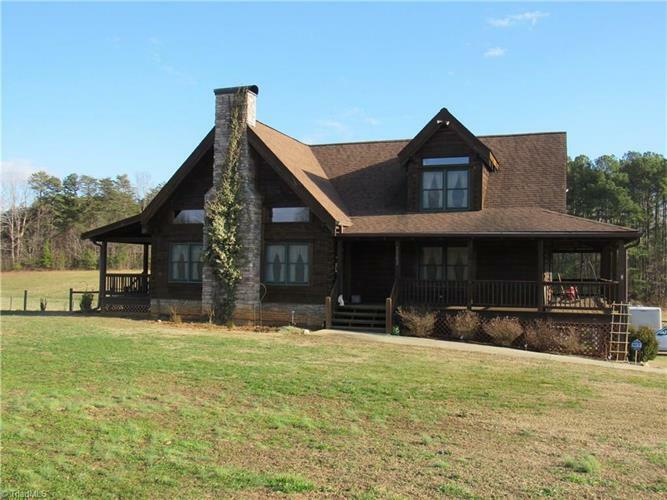 2story soaring ceilings, rock fireplace, open floor plan w/kitchen, dining & great room, sunroom, main level laundry, 3 Bedroom, 2 full baths. Kitchen has island, doors leading to covered porchs, Partially finished basement not counted in sq.ftg. w/superior walls, w/den/office, tons storage space & more! Call today for more info!